Our Oct 31 GSM shoot has come and gone and here are the results. Before I begin though I wish to publicly thank Paul G., David E., and John K., for arriving early Friday to get the targets and cans and boards out the conex and to the pits, refacing and staging them, etc. You saved me hours of work! Thanks to medics Paul & Evan G., and James C.
Thanks to RSO’s Brad L., and John H.
Thanks to President John H., for coming out and helping and shooting. Thanks as always to Harry H., for coming and making sure things started smoothly. Thanks to Brad L., for taking on the assistant position to make my life easier. Finding pullers is always a gamble and we were fortunate to be inundated with six Marines and one civilian and thank you to the shooters for standing up to assist us and them by paying for a puller even though you did not sign up for one. If they had come, and been sent away empty handed, it would make it that much harder next time to get pullers. Sign up’s went well and smooth and for match 1 we had 24, YES! 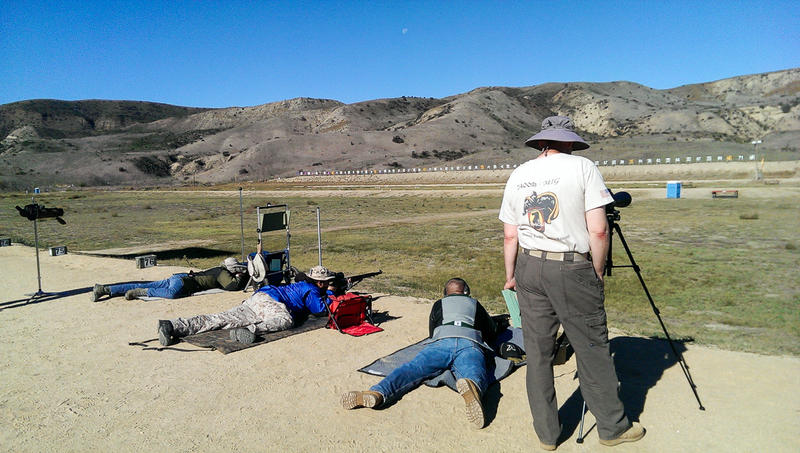 TWENTY FOUR shooters (and one non-firing observer). Results for everyone will follow but the highlights of match 1 were Paul Guy & David Ellis getting silver medals in Garand and Brad Losey shooting a 285 !!!! with his Unlimited Garand! Specifically he got 95-95-95. Brad was on fire!!!! NOTE: The 2015-10-31 GSM Results are available in PDF on the Match Results page. 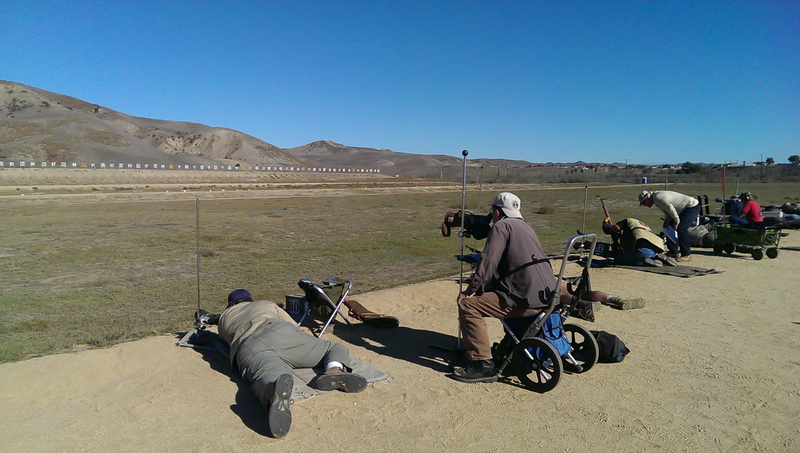 Match 2 had 23 shooters shooting with a highlight of Kevin Cooper shooting a silver with his Garand. Tallying up the results afterwards I had my first ever “exact” tie. 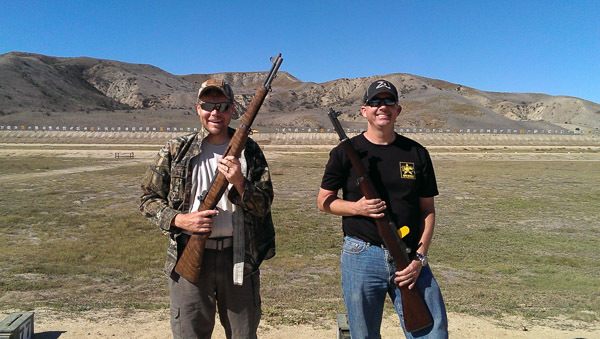 Paul Guy shot a 278.5 with his Garand and Kevin Cooper shot a 278.5 with his Garand. So my memory tells me when that happens you go back to the last shot fired in competition to break a tie, so I did that, and with that, Paul Guy was the Grand Champion for the day. Congratulations to Paul Guy. Harry asked us to ask all you shooters a question which I forgot to ask you, so here it is now. Would you be interested in a “reading the wind” clinic? If so, again, please reply direct. Scores in totality are attached in a PDF. Thanks for coming out and being good sports and now we have a record to break. Twenty four shooters is great, but, next February (tentatively) let’s have twenty five + shooters!!!! P.S. There is a GSM shoot this Saturday at AVGC with a Veteran’s Day celebration to it (and a Marine Corps Birthday in my mind!) with a BBQ afterwards and the opportunity to shoot a civilian BAR and a semi-auto 1919 machine gun with all benefits going to the local DAV. Contact me for information.